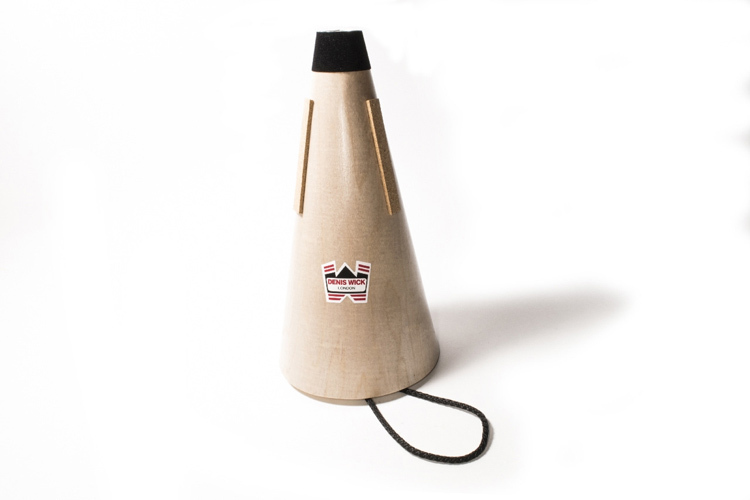 Denis Wick wooden straight mutes are constructed from finnish birch wood with a bottom made from marine ply and lined to strengthen the mute without compromising on sound. The sound produced is much less bright than aluminium straight mutes and is ideal for band and orchestral situations where the player needs to blend with other sounds. They work fantastically well at the lower dynamics and intonation is very good across the whole range. It has adjustable tuning which allows the mute to be adapted to suit every kind of French horn.